WAR CHANT (USA) (Bay or Brown 1997-Stud 2001). 5 wins-1 at 2, Breeders' Cup Mile, Gr.1. Sire of 709 rnrs, 489 wnrs, 39 SW, inc. Silent Sedition (MVRC William Reid S., Gr.1), Kingsfort, Midnight Interlude, Chamberlain Bridge, Variation, Brilliant, Carlos Gardel, War Kill, Time Chant, Karen's Caper, Dainty Tess, Sea Chanter, Chattahoochee War, El Roblar, Chantski, Norman Invader, Asperity, Ballymore Lady, Doncaster Rover, War Room, War God, etc. Minus Looks (g. by Demerit). 3 wins-1 at 2-at 1200m, 1300m, A$262,000, to 2016-17, WATC Schweppes P., Perth Racing Newsletter 2YO P., JJ Richards & Sons H., 2d WATC Ascend Sales Trophies H., Schweppes H., Mrs Macs H., Pretl & Williams H., Yellowglen H., 3d WATC Amelia Park Lodge H., 4th WATC Raconteur S., L.
Hey Listen (f. by Demerit). 2 wins at 1400m, 1650m, WATC Perth Racing Facebook H., 2d WATC McFarland Plumbing H., Book Your Next Function H.
All Class (Euclase). 5 wins. See above. Rex the Robber. 10 wins to 1400m, A$117,541, 3d WATC Barrosa Boy H., Enterasys Secure Networks H.
January Boys. 4 wins to 1500m, 3d WATC Playeronline.com.au H.
First Hit. 2 wins at 1400m, 2000m, 2d WATC Westspeed 3YO H., 3d WATC Imagesource Large Format H.
Thieves Like Us. 2 wins at 1400m, 1850m in 2016-17 in Aust. NATIONAL SURPRISE (Warring Nations). 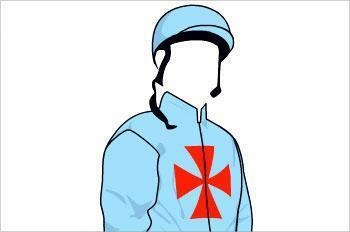 8 wins from 1200m to 2200m, WATC Ascot Gold Cup, L, 3d WATC Weekend Courier Community H., Railway Boy H.
Amongst Thieves. 6 wins. See above. Air Combat. 3 wins from 1850m to 2000m in Aust. Blakehurst. 17 wins to 1500m, A$147,362, BTC Fanta H., 2d Qld Tatt's RC Foster's H., Carlton H., QTC Santa Claus H., 3d QTC Trentham H., Scomeld H., BTC Couran Cove Resort H., Octagonal H., QBBS Yearling Sales 3YO H., 4th Toowoomba TC Weetwood H., L.
Tanrosa's Boy. 8 wins-4 at 2-from 800m to 1650m, A$77,900, BATC Orlando Gramps Doomben Dash H., QTC Affinity H., Cheltenham H., BATC Lee's Lads & Lasses H., Redcliffe War Widows 2YO H., 2d BATC ABC-TV Flying H., QTC Channel 10 Welter H., Bill Edwards H., BATC Wedgwood Pies S., Galilee H.
Manger Might. 9 wins to 1100m in Aust. Residere. 6 wins to 1500m in Aust. Space Mountain. 3 wins from 1100m to 1600m in Aust. Brabinger. 2 wins at 1000m, 1500m in Aust. Krinein. 2 wins at 1400m, 1600m, AJC Elusive H. Producer. PAR VALIS (Novalis). 9 wins-1 at 2-from 1000m to 2800m, WATC St Leger, Gr.3, Eurythmic Cup, Edgar Meares Cup, Spring H., Naval Base Welter H., Elms H., Coventry Welter H., Graduation S.-twice, 3d WATC Easter Cup, Gr.3, Belmont Park Cup, L, Tattersall's Cup, L, 4th WATC Supremacy Quality S., L.
Happy Heights (Redesdale). 12 wins from 1100m to 2400m, WATC Humes Roofing Tiles Welter H., Australian Division S., India Graduation S., Rinnai Heater Graduation S., 3d WATC Imperial S., L, 4th Bunbury Cup, Gr.3, WATC Pinjarra Cup, L.
Shimmering Star (Faringdon). 4 wins. See above.